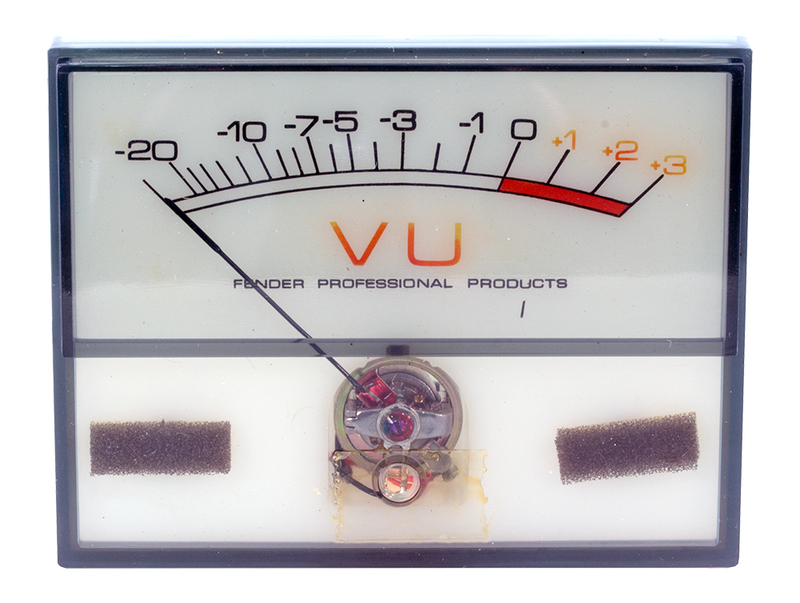 Fender Professional Products VU meter. Smoked plastic. Extended face measures 1.59"H x 3.59"W and is designed to fit through 0.125" thick panel from back. 3-11/16" x 2-7/8" x 1-1/4" thick. Date code: 1979. 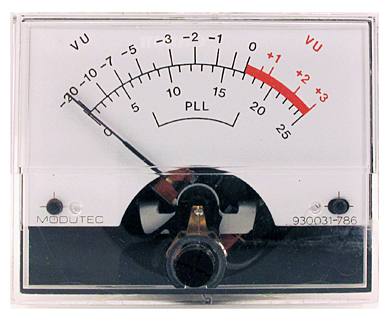 Modutec VU meter. Circa 1975. Broadcast quality. Originally made for Harris console. 1-3/4" x 2-1/4" face. Mounts in 1-7/16" hole with 4 corner studs on back. 1-5/8" behind panel. Harris P/N: 632-0711-000. 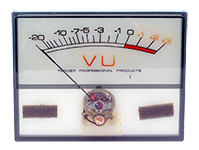 Phaostron sealed miniature VU meter. -20 / 0 / +3 scale. Retro look. Backlit. 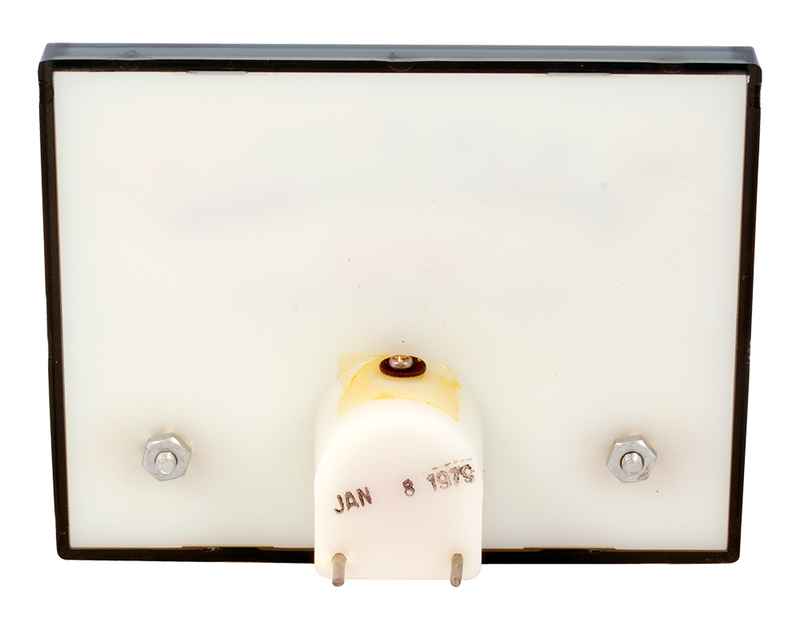 5 volt back light. Made by Phaostron for Anthony DeMaria labs. "ADL" comes up blue with the light on. 1-3/4" square, 1-1/4" behind panel, 1-1/2" mount hole. 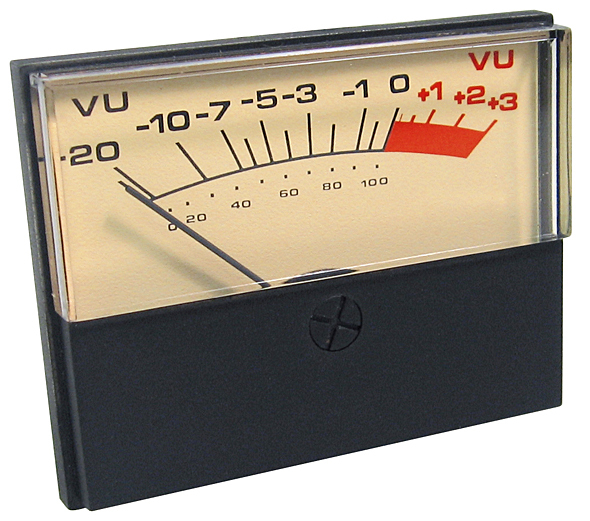 Modutec VU meter. -20 to +3 / 0 - 25 scales. View window measures 7/8"H x 1-1/8" wide. Requires 1-1/2" mounting hole. 1-5/8" behind panel depth. Requires bezel mounting kit. 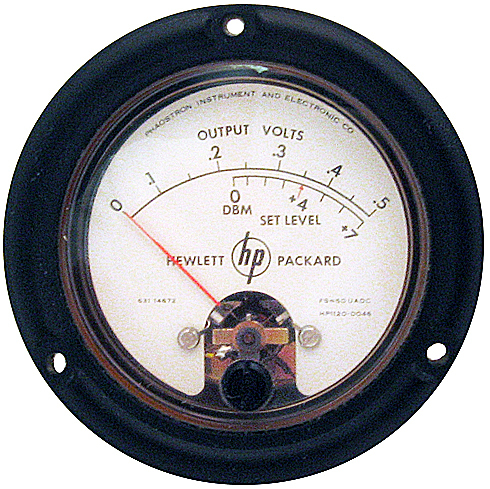 General Radio Co. audio level panel meter. 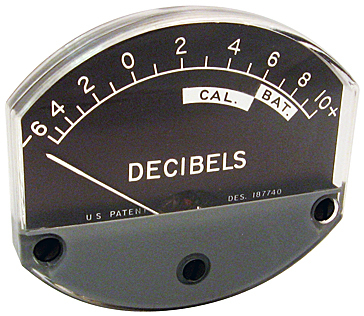 -6 to +10 decibels. Bezel measures 2-5/8" x 3" x 1" deep. 2-1/2" c-c mounting studs. Requires 2-1/4" diameter hole. NSN: 6625-00-708-5186. Japanese AM/FM tuning movement. Back lightable. 0-10 AM/FM center tuning. Behind panel mount. 1-3/4"H x 1-7/8"W overall. 15/16"H x 1-11/16"W meter face. 1-1/16" depth behind panel. Phasotron / Hewlett Packard meter. 0 - 0.5 output volts. dBM level. Sealed, ruggedized. FS = 50 uADC. 3.5" diameter face. 1-3/4" behind panel depth. Requires 2-5/8"D hole. 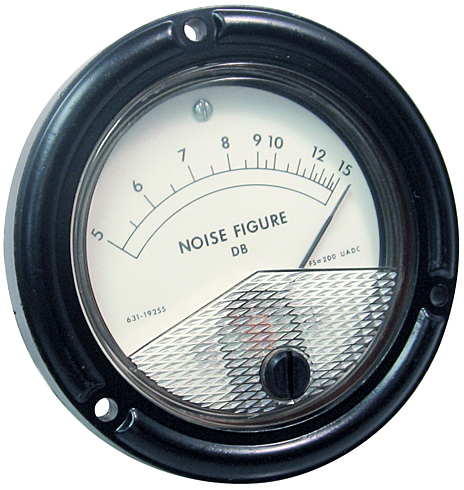 Sealed meter reads "0 - 15 dB" Noise Figure. Actual fs = 200 µADC. 3-1/2" diameter face. 2-3/4" mounting hole. 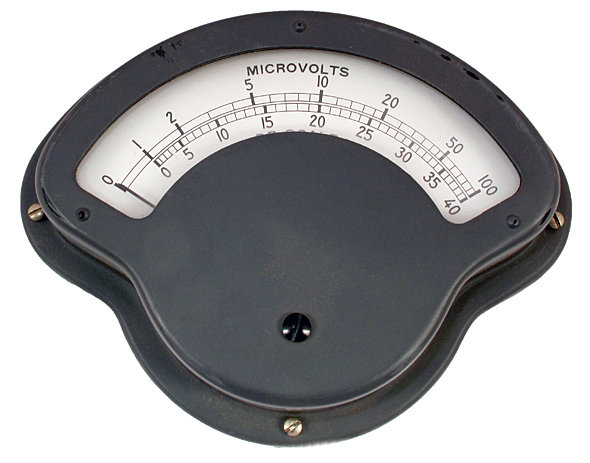 Exact replacement meter for Stoddart / Singer Field Int. Analyzer. "0 - 100 uv" and "0-40 uv" scales. 1 mADC full scale. Sealed, RFI proof. 5-5/8" wide x 4-1/2" high.